Update April 26: The Sapienza episode is out now, if you fancy donning a suit and murdering a whole bunch of people. It’s the largest map that’s been designed for the new Hitman, so far, where you’ll be able to take part in the World of Tomorrow mission, tasked with taking out two egg-heads and a fancy virus. Original story: If you’ve got that nervous tick that comes from not getting to kill anyone in a while well, first, probably get that checked, but mostly rejoice, because Hitman’s getting its second episodic expansion tomorrow. The Sapienza update adds a whole new location and all the assorted goodies, as previewed inthe trailerlast week. If you’re eager to get the piano wire out and find a good hiding spot, then lucky for you Square Enix have revealed the exact time Sapienza will be released. Some less murderous sandbox games for you, if this is all a bit killy. If you happen to be playing on console – we don’t judge – it’s a bit more complicated. On the Xbox One and PS4 outside the US, it’ll be available at midnight April 26 in whatever your local time is. Live in a more eastern time zone? Congratulations, early access. In the US on PS4, it’s between 8am and 10am PST. In other words, come the 27th we’ll all have access, but there’s your timing if you want to be more precise. Got the Intro Pack and wondering if it’s worth your cold hard cash? 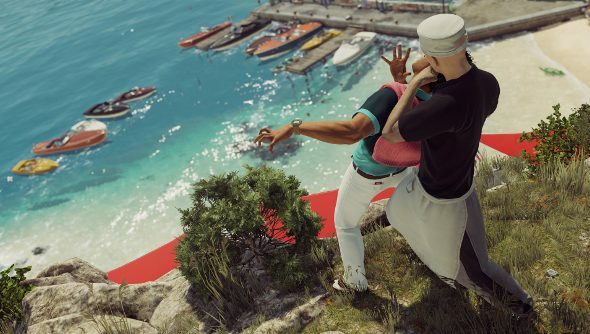 We took a look at it and said absolutely in our Sapienza preview.